I love your cards! I really like how you used the small stamps to create your pretty scenes... Inspired! So pretty! I like the dimension. The first card looked like a candy land flower garden. Loved using that stamp in a completely different way. Winners! These are adorable! I love all the little flowers and the colors you chose for them! Just love your first card! All of them are pretty tough. I really like all your cards, I especially like the soft and pretty colours of the second card. I like that you glued the jewels upside down as well! 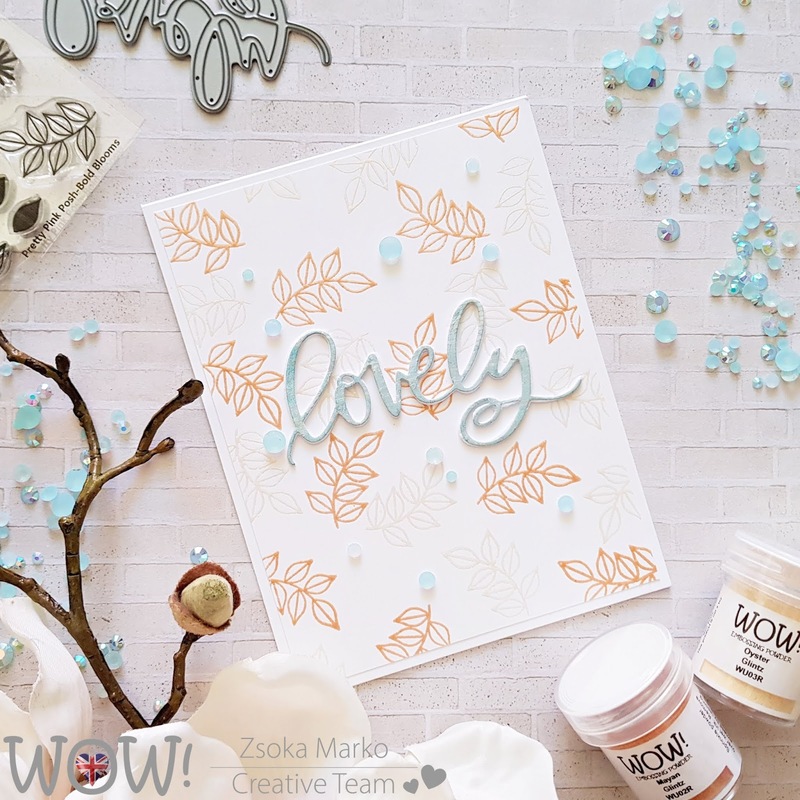 Different style.... Love the cards..
What a wonderful selection of cards you have created with all of the products to inspire us! Neat idea to turn the little jeseje upside down on the one card. So clever! Love all of your cards! Thanks for the great inspiration! Very pretty cards! Love the first one best! Your first card was "old school" with all the pattern papers used, and I was so happy to see that! 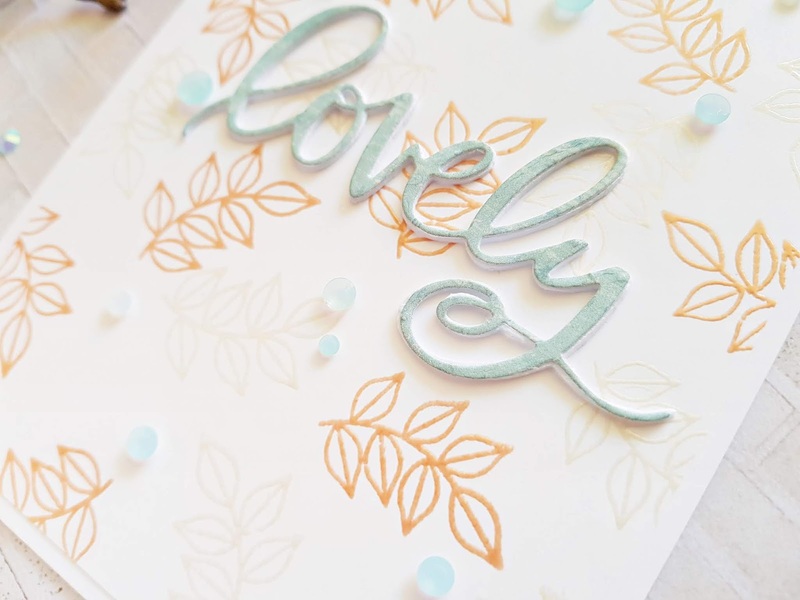 Your second card moved me as I just love the "lovely" word die, plus the aqua and peach are a delight to see. The third card was so fresh and vibrant! Great stamping! I would be happy to receive any one of these cards! These cards are so cute! :) Love the bright and cheery colors you used on them. Such a beautiful trio of cards all so very different. I think my favorite is the last one because of the vibrant colors but they are all lovely. 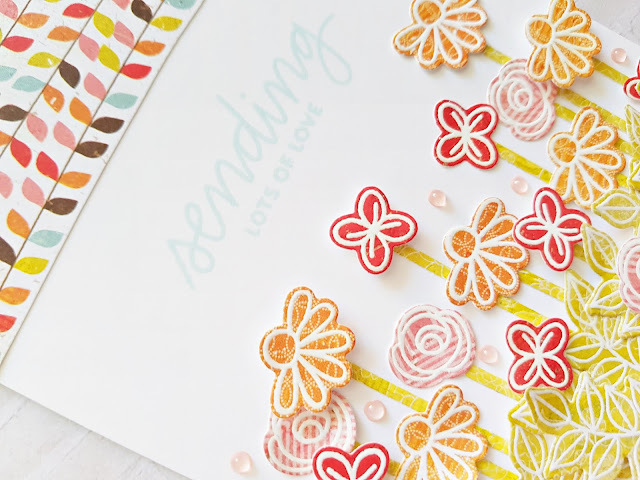 Oh what happy and sweet cards! Gorgeous designs and lovely color palettes. These are so pretty! Love the flower frame! BEAUTIFUL cards! I especially LOVE the first card! I really love the embossing done on them! It really makes them pop even more! Very pretty! I love your cards, and so many layers and texture. The first one is my favorite; it's so playful! I love how you used bold blooms set which is also my favorite floral set from PPP. Clever designs and beautifully done! I really get lots of inspiration from this blog hop thanks to you and other designers. Wow, your cards are just so beautiful. That first card is definitely a favorite! Wow!!! Gorgeous cards! Love so much the beautiful colors!!! Fantastic cards, the second one is my favourite - love the design and colour combo! Three different styles and three beautiful cards. Very pretty cards. Love the combo of WOW embossing poeders with the lovely stamps by PPP. My favourite is the second card. I just adore the soft colours you have used! All three cards are beautiful. My favorite is the die cut flowers. I love to use these on my cards. Your cards are a breath of fresh air! My fave is the first one! All three cards are absolutely pretty. All of your cards are just SO pretty! I love your beautiful attention to detail and how you bring so much color and joy to all of these tiny flowers! Amazing! Great ideas and wonderful colors. A nice job creating these. Beautiful cards! I love the white embossed flowers on your 1st card! So pretty! They’re so whimsical and lovely! I love these! The whimsy flowers and such great colors! 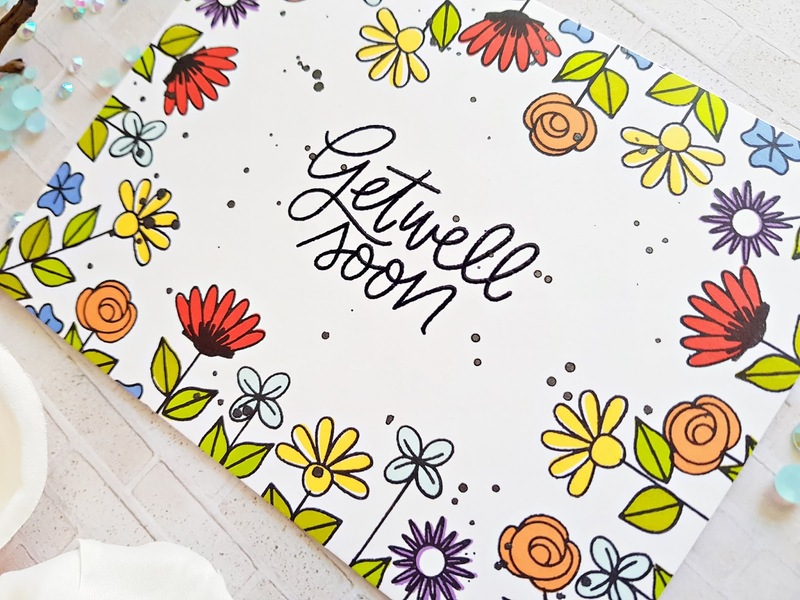 Your get well card would make anybody feel So much better. So bright and cheerful thank you for sharing. Love you Get Well card. So bright and happy. Beautiful card and fun ideas! Great creativity. 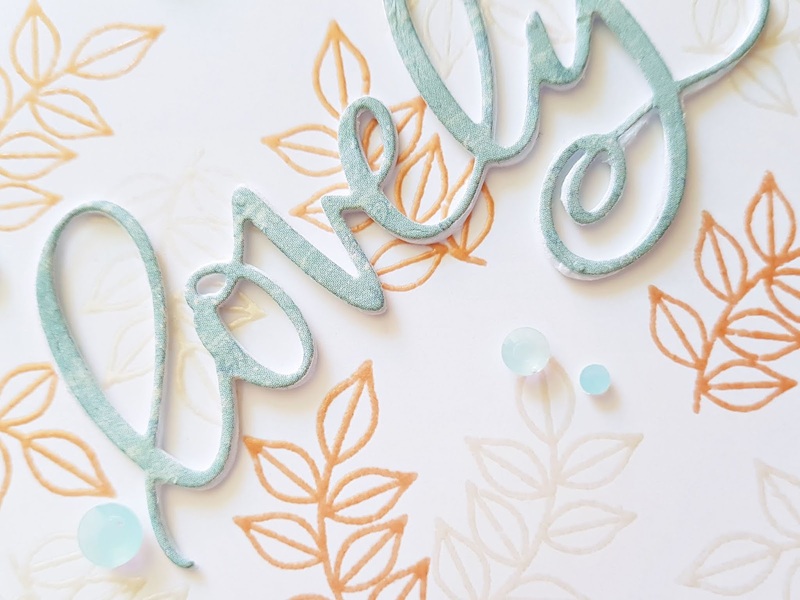 I love your choice for embossing powder colors, and I always love the PPP Dies! Wow your cards are so wonderful and varied! Love how you combined both companies to created these pretty cards. All your cards are awesome!!. So hard to pick a favorite!!. Great creativity!!. Your color story on each of these gorgeous cards is fabulous!!! So many EP's and am wanting all of them after seeing all of you talented designers doing these fabulous PPP images using them! One gorgeous card after another!!! Am in awe! All three of your cards are beautiful! 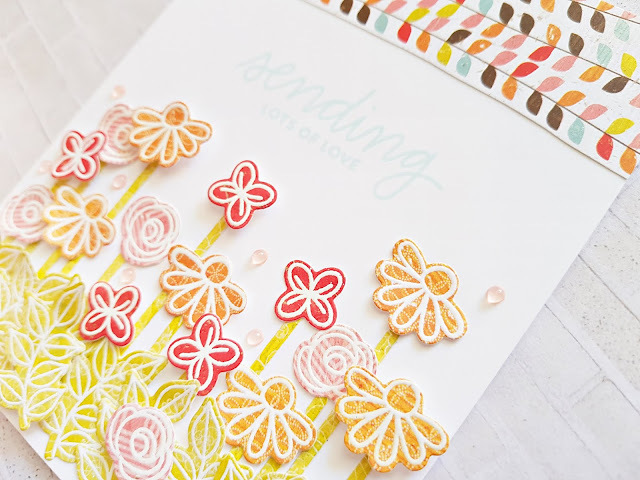 I love that you die cut and embossed the flowers of your first card with patterned papers! I like to add pretty papers to my projects whenever I can. I'm not much into coloring, so I'm quite inspired by how you created your cards. These are such pretty card! I just love the compositions, and that second one is just so soft and pretty, my favorite! 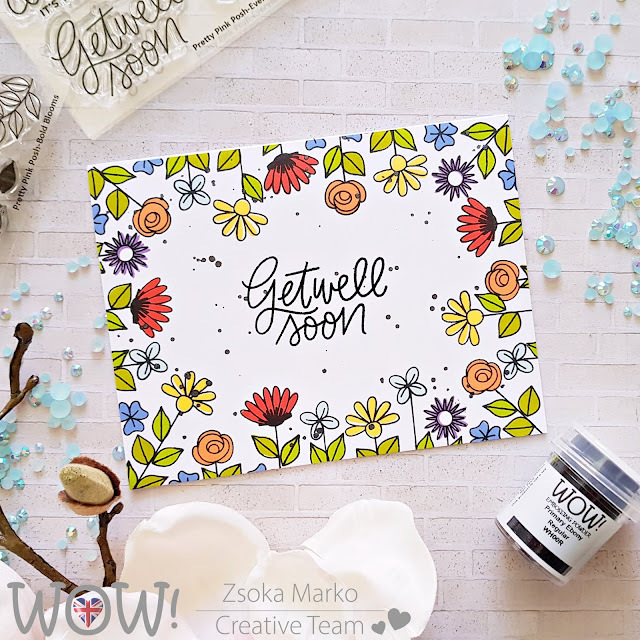 Three real stunning cards, love your layouts on them & your use of colours, the get well is my favourite. 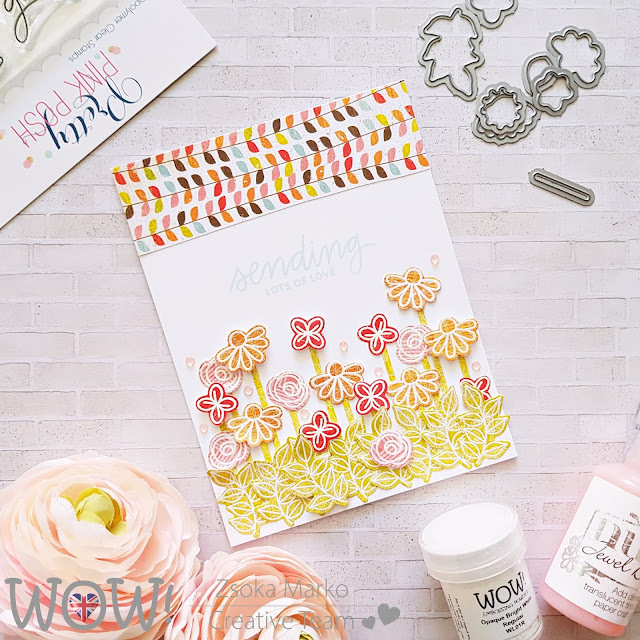 Gorgeous layouts for these pretty cards. Love the colours you've used. Thanks for the inspiration. Oh my goodness !! You’ve made such a wonderful job !! All your cards are pure delight to the eye !! I think you have a very light touch and your cards are so delicate ! Thanks for sharing !